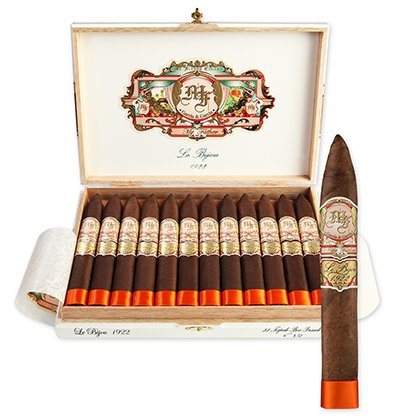 My Father Le Bijou 1922 cigars were blended and produced as a tribute to Don Pepin Garcia's father who was born in 1922. The Le Bijou (The Jewel) cigar features a Nicaraguan Habano Oscuro wrapper from rare Pelo de Oro leaf and a mix of Nicaraguan long-fillers. The medium- to full-bodied Le Bijou is beautifully constructed and well balanced with rich flavors of pepper, spice, cedar, and espresso.